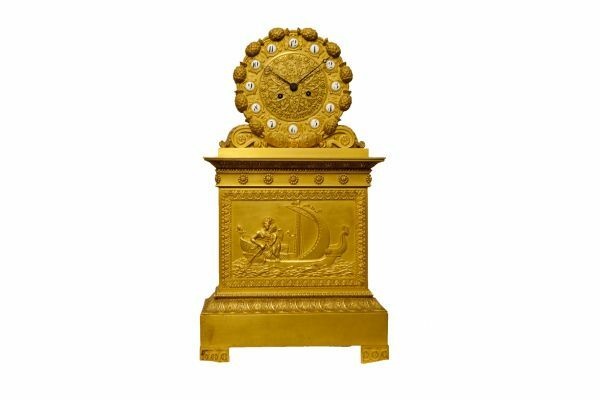 The clock and two desktop decorations in the style of Art Deco "Fan". 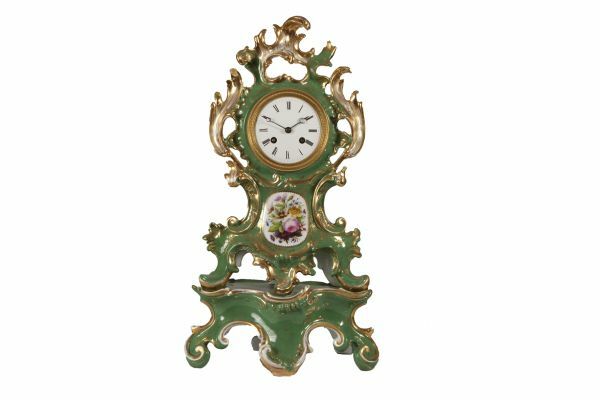 Mantel Clock "Guessing on a camomile." Year – The 19th century. 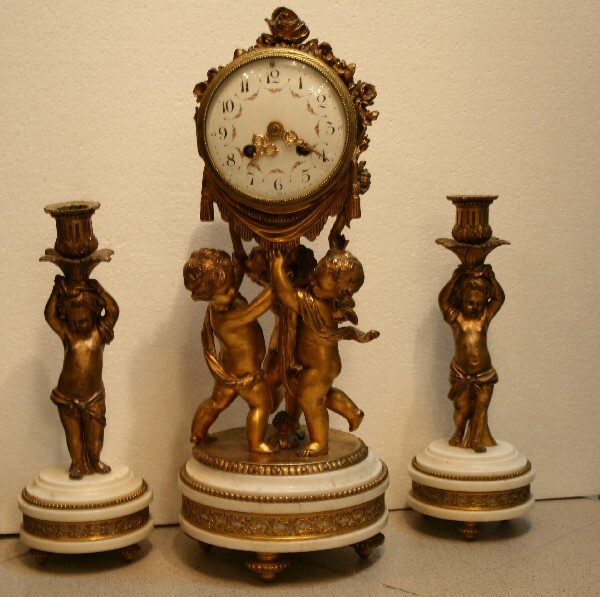 The clock and two candlesticks "Putti". Technique – Bronze, gilding, stone. 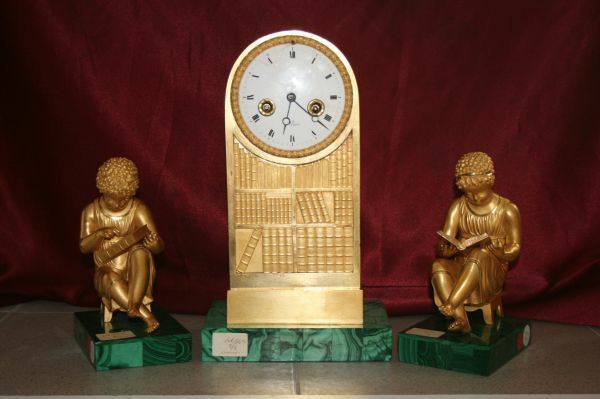 Clocks "Library" and two sculptures of reading boys. 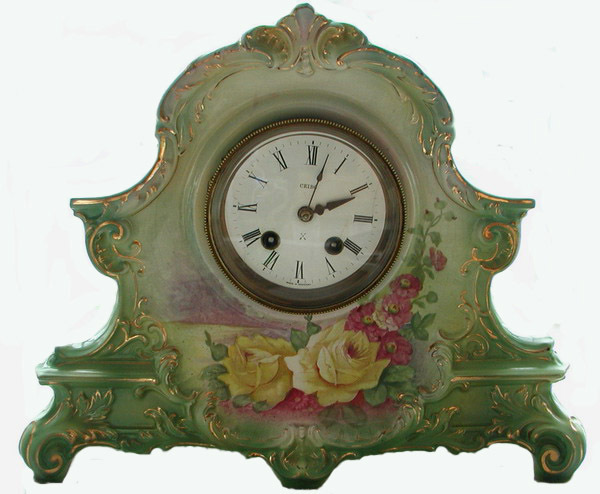 The clock "Yellow Roses and peonies". Year – The beginning of the 20th century. Year – The beginning of the 20th. Year – The beginning of the 19th century. Technique – Bronze, gilding, patination, stone. Year – The middle of the 19th century. Year – The end of the 18th century. 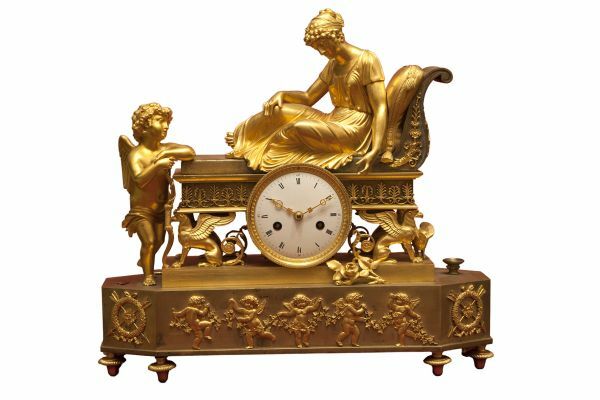 Technique – Bronze, gilding, patination, white marble. Year – The end of the 19th century. Technique – Wood, bronze and gilding. Clock. The lady on Recamier with Cupid. 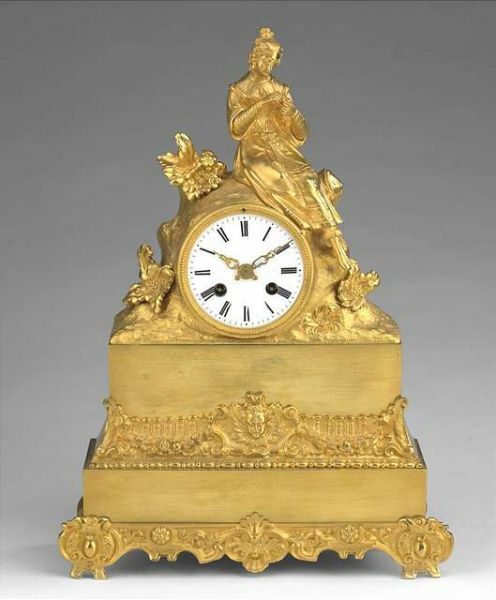 Mantel clock “Allegoric arrangement, representing fertility”. Year – The first third of the 19th century. Technique – Bronze, casting, engraving, gilding. 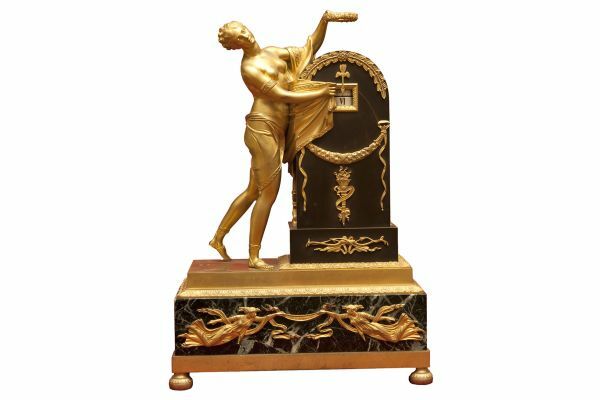 Technique – Spelter, casting, semi-precious stone. Size – h - 51 cм. 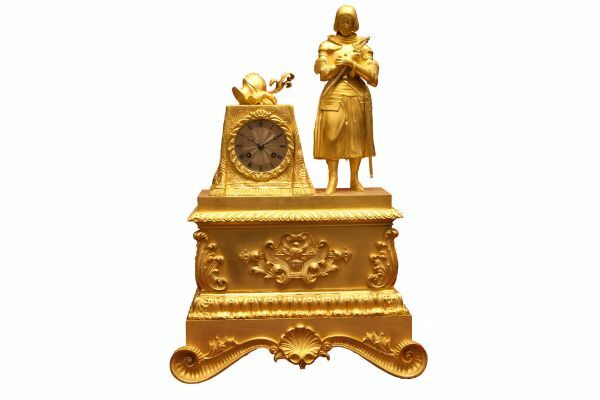 Technique – Bronze, casting, engraving, gilding, wood. Size – h - 72 cм. 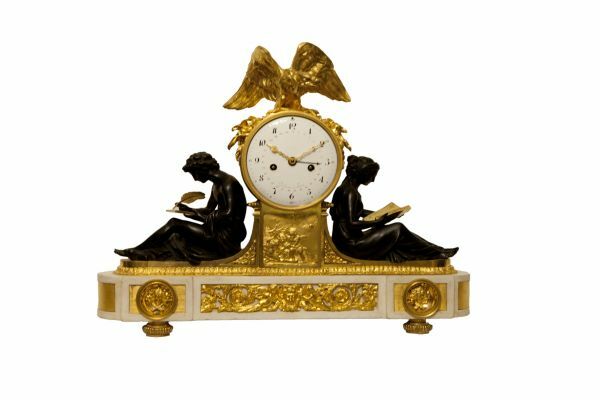 Fireplace set: clock and pair of candelabrum. 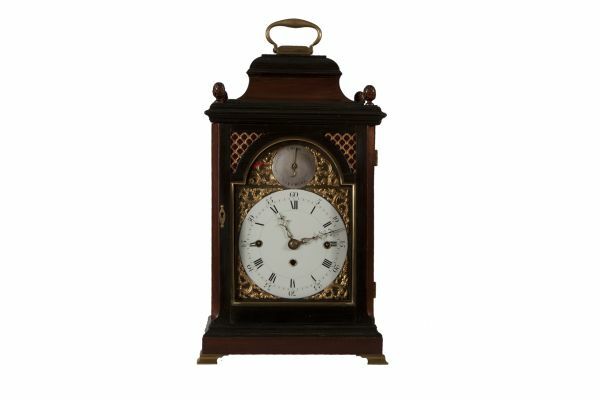 Year – The end of the 19th – the beginning of the 20th centuries. Size – h-42 см., h-60 cм. Technique – Wood, carving, bronze, casting, engraving.